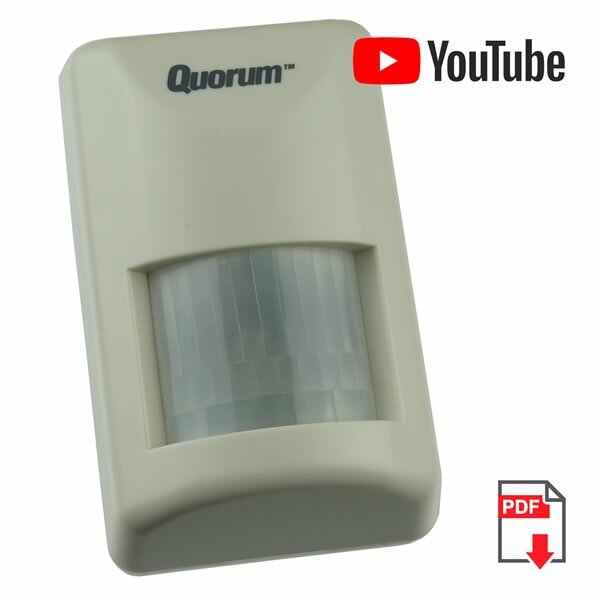 Small fully contained PIR detector senses humans up to 40 ft. away and the lens lights up a soft red to indicate that the person has been detected. Even though this unit does not set off an alarm it can be used as a deterrent to break ins as it looks the same as the PIR detectors you see in museums, restaurants, homes etc. The intruder will think that a silent alarm has been set off. New ready to go unit with wall anchor for hanging on wall. Requires one 9V battery (not included). Alkaline types will last up to several months depending on amount of activations.